The groundhog kiln was fired on the weekend of August 10, 11 and 12th and was it ever HOT! 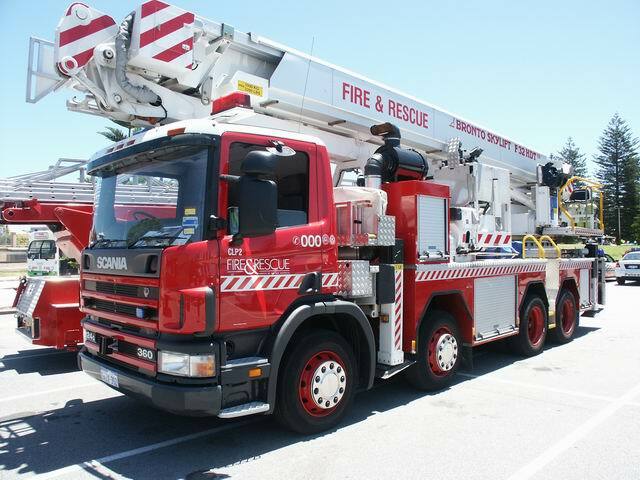 What is usually a very hot job no matter what time of year was almost unbearable due to the ongoing heatwave over much of the southern USA. Records are being shattered every day and we just passed 8 or so days in a row above 100f degrees. 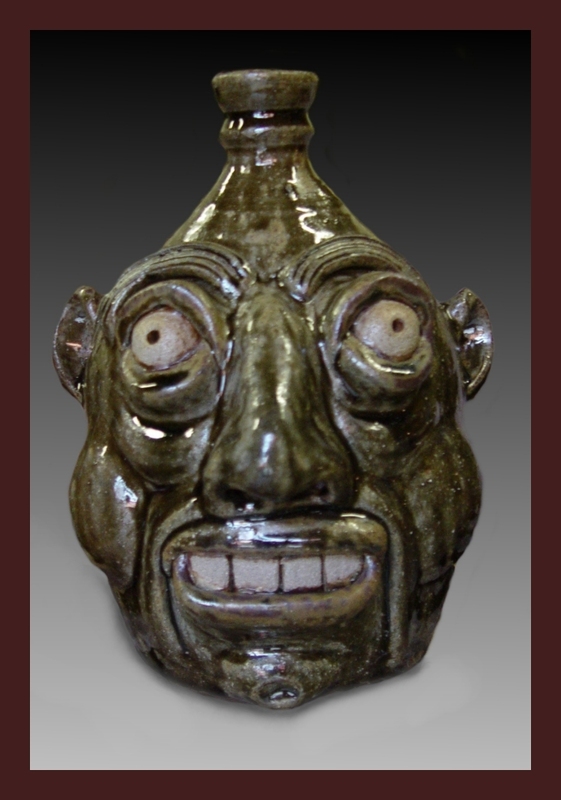 Friday, when the kiln was started, the temperature reached 107 followed by 105 on Saturday! At least I know I’ll never experience a hotter firing and won’t ever whine about temps in the 90’s again. My deepest thanks go out to Brian for his help throughout Saturday night at the peak of heat! He also supplied a large fan which kept us from visiting the ER or morgue while chunking wood into the flaming inferno called the firebox. We reached cone 11 fairly early compared to other firings. Of course we had the traditional visit from our friends at the fire department early Sunday morning. They were all bright-eyed and full of breakfast. The kiln was opened on Wednesday and we went in for a quick look at managed to get some pieces out even though I melted the soles on my new shoes. 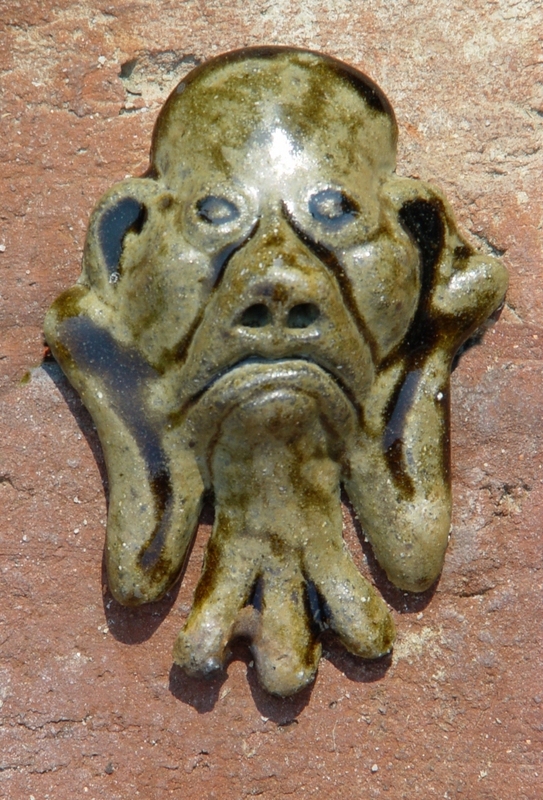 The glaze looked great, although the glaze ran a bit on some pieces and will require some grinding on the bottoms where the glaze stuck to sand or brick. 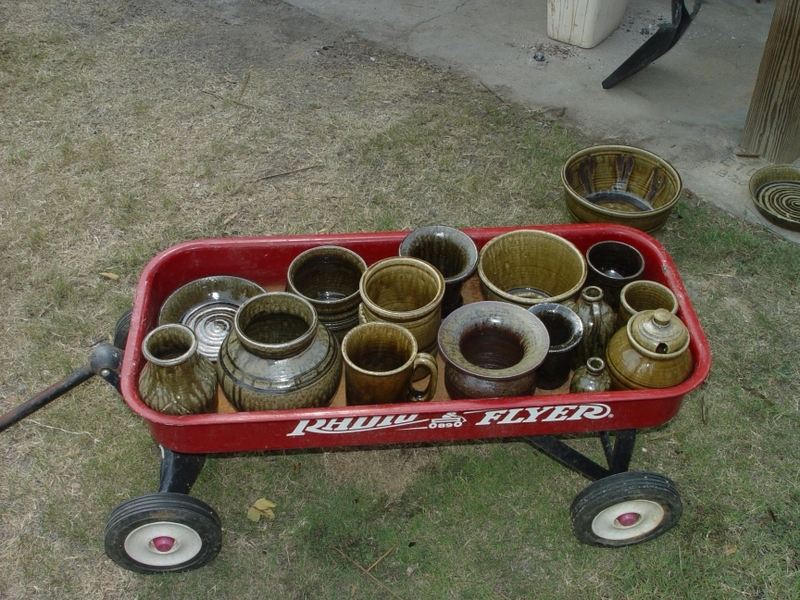 I hauled a number of loads of pots back to the shop and will post some pics soon. Sony sent my beloved camera back after they replaced the faulty components, YEAAA! I’m back in the saddle with photos. I’d also like to welcome new intern Katie who will learn about Edgefield pottery as she works around the shop and learns the various aspects of making this unique style of stoneware pottery. Another load of pots is almost ready, but will await cooler temperatures before loading the kiln. 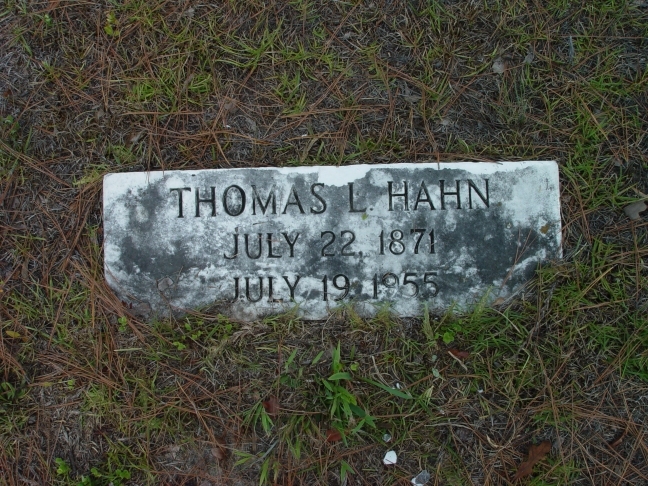 I managed to locate the graves of a couple of important potters from this area, Willie Hahn and his son, Thomas Hahn. 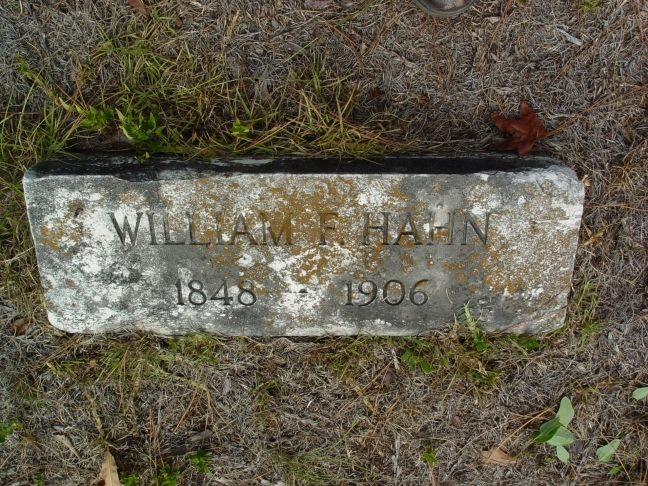 William operated a pottery in Trenton before moving to North Augusta, SC in the late 1800’s where he was also associated with the Baynham pottery. 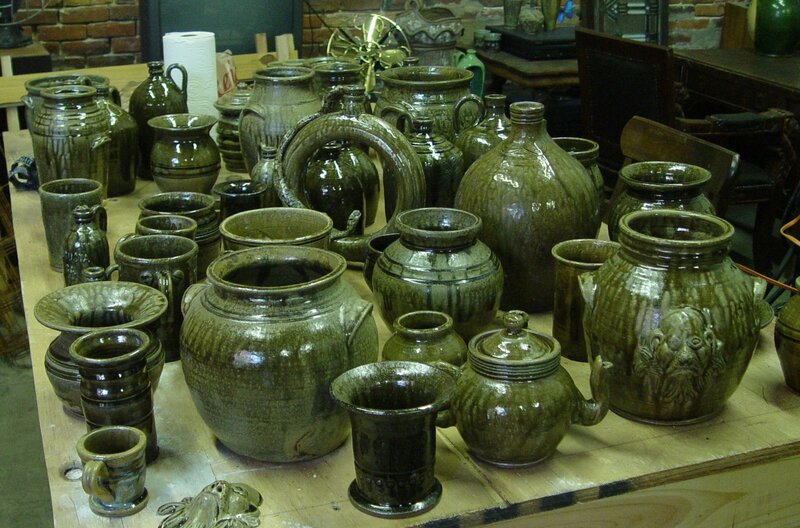 They were a large part of the scene in the final years of the Old Edgefield pottery tradition. Tommy went on to become an attorney in Augusta, GA. What can I say, mud was in his blood! Thanks, Shimmerings! The drippy ones are my favorites, too, even though some drip a little too much and get stuck to the floor. Gary, thanks a lot for the visit. I’m always so happy to hear from you and your work is getting better and better!I’ve made a new post on my blog so check out if you have time… It is a bit more personal than usual, made for my friends :)Anyway, I keep wondering what are the chances to actually have one of your beautiful pots… I’m guessing it would be close to impossible to send it via post (snail mail). I wouldn’t dare to take that risk! Any chances of you comming to this part of Europe? I am in Zurich, Switzerland at this moment and I will stay here in the next two years. Thanks, Milena! I could always pack a piece of pottery well where it would survive the journey. I don’t know if customs people would disturb the packing. I would try. The worst that would happen is it might get broken and because it is just fired earth it would be no big loss and I would send another. I bet it is so beautiful in Switzerland! I wish I could manage to see some of Europe. 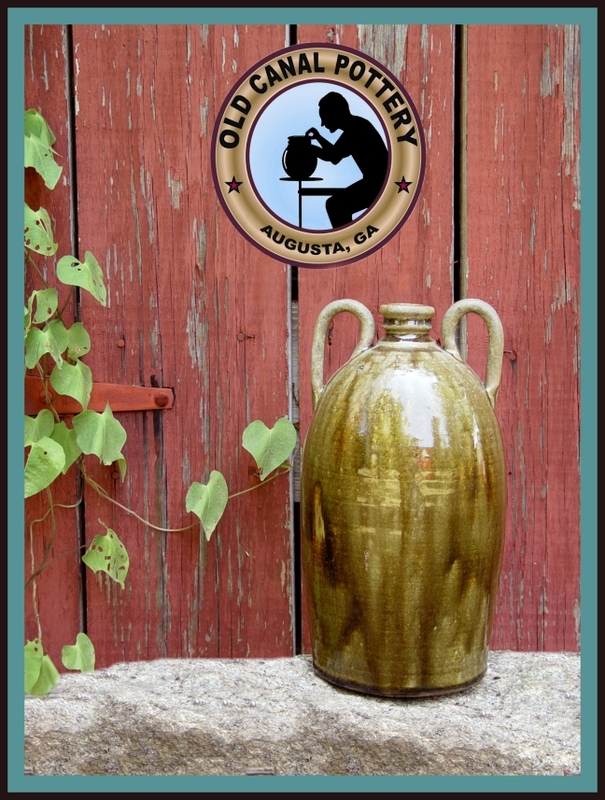 Previous Previous post: Is it Old Edgefield or Just Modern Pottery?